Two drug dealers from Huntingdon have been jailed for two-and-a-half years each. Adnan Mir, 21, of Coneygear Road in Hartford, Huntingdon, and Farkhan Bahadur, 21, of Sallowbush Road in Huntingdon, were both arrested on 11 September in Huntingdon after they were seen on CCTV dealing drugs. 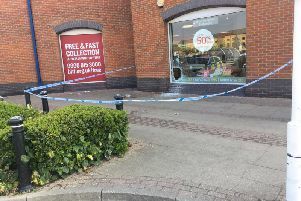 CCTV operators witnessed the pair, who were parked up in a silver Volkswagen Golf, exchanging what was believed to be drugs and cash with a man on a bicycle. This was called through to police who immediately deployed officers to the scene and arrested them. On searching the vehicle officers discovered a total of nine mobile phones, over £100 in cash and various drugs including cannabis cigarettes and wraps of white substances which were later identified as crack cocaine and heroin with a street value of about £280. The following day they were both charged with two counts of possession with intent to supply Class A drugs, specifically crack cocaine and heroin. They both pleaded guilty to the charges on 10 October at Peterborough Crown Court and on Tuesday (7 November) were sentenced to two-and-a-half years in prison for each offence, to run concurrently, at the same court. Detective Constable Tom Nuttall said: “We work hard to prevent and catch people bringing and dealing drugs into Cambridgeshire, which is known as ‘county lines’. “Mir and Bahadur had no regards towards their local community as they were caught dealing these harmful substances during the middle of the day, near to local shops and a nursery.